MOSCOW, August 14. /TASS/. 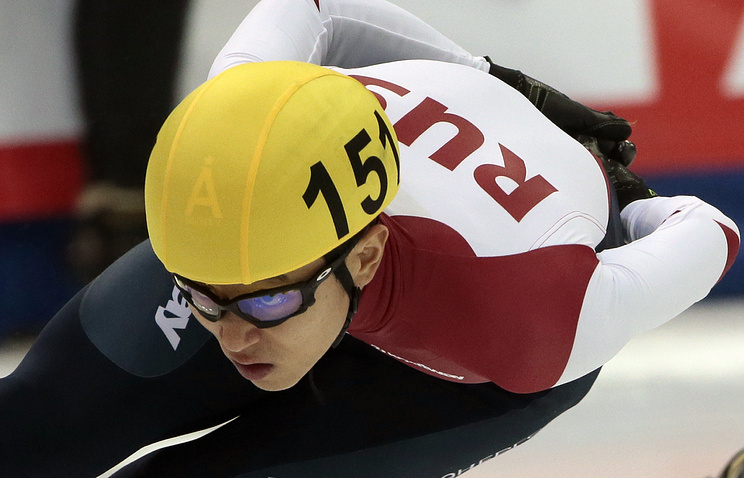 World’s most decorated short track speed skater Viktor Ahn has been included in Russia’s preliminary Olympic roster for the 2018 Winter Olympic Games in South Korea’s PyeongChang, Anna Maksimenko, the head of the Russian short track team, told TASS on Monday. Born in South Korea, 31-year-old Ahn is six times Olympic champion and is performing internationally for the national team of Russia after he was granted the Russian citizenship six years ago. "The Olympic training men team’s roster includes Viktor Ahn, Semyon Yelistratov, Denis Airapetyan, Pavel Sitnikov, Artyom Kozlov, Alexander Shulginov, Vladimir Grigoryev and Artyom Denisov," Maksimenko said in an interview with TASS. The women’s Olympic training team in short track includes Sofia Prosvirnova, Yekaterina Yefremenkova, Yekaterina Konstantinova, Yulia Shishkina, Yevgeniya Zakharova, Emina Malagich, Tatiana Borodulina and Vera Rasskazova, according to Maksimenko. "The team will begin its training session for the World Cup in Novogorsk on August 20," she added. The first stage of the ISU World Cup Short Track Speed Skating will be held in Hungary’s Budapest between September 28 and October 1. The next Olympics, which are XXIII Winter Olympic Games, will take place in South Korea’s PyeongChang on February 9-25, 2018. Viktor Ahn was born in South Korea’s Seoul as Ahn Hyun-Soo and initially competed for his native country’s team. At the 2006 Winter Olympics in Italy’s Turin he brought South Korea three gold and one bronze medal in short track. 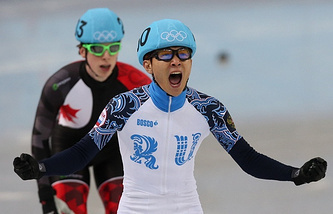 After the 2006 Olympics in Turin, a set of sustained injuries kept him sidelined from major short track competitions and before the 2010 Winter Olympics in Canada’s Vancouver he failed to qualify for the South Korean national team. In 2011 he was granted the Russian citizenship and announced his decision to speed skate for Russia at the 2014 Winter Olympics in Sochi, where he won three gold medals and one bronze medal.